The nights are drawing in and there’s a nip the air. Winter is approaching and you couldn’t be better prepared for it than with a Morsø wood burning stove. Any living space would be enhanced by a Morsø stove, which combine that legendary Danish flair for design with expert engineering, making them both stunning to look at and highly efficient. From traditional to ultra-contemporary styles, there is a Morsø wood burner or multi-fuel stove to enhance any and every living space. In this blog post we will explore three wonderfully different stove offerings from Morsø. To find out more about the huge range of Morsø stoves available, please visit our website or come and see us in store to see live, working examples. Classic Multi-fuel – The Morso 1410 Squirrel. 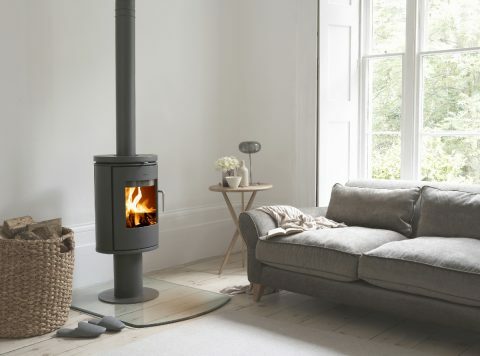 If you love a more traditional style of solid fuel stove and want to heat a smaller room, the Morsø 1410 Squirrel could be just what you’re looking for. As well as being perfect for your home, this Morsø icon has been installed in a variety of places, including outdoor sheds, greenhouses and narrowboats! It’s a classic radiant multi-fuel stove that will quickly and efficiently heat your room and is decorated with Morsø’s trademark squirrel relief on both sides. It can be used with different types of fuel too: wood, briquettes, and smokeless fuel and has an output of 4.6kW. It’s size and individual design has kept the 1410 Squirrel on the best selling list of Morsø stoves for many years. Contemporary style – The Morsø 5660 Insert. For a contemporary look, the Morsø 5660 is an insert wood burning stove that gives you smooth, clean lines and a modern feel. It’s manufactured in high-grade cast iron, giving it excellent heat-retaining properties and a steady, even and comfortable warmth to your room. Even better, the Morsø 5660 insert is classed amongst the most environmentally friendly insert stoves in the world. If your taste is for a minimalist and more contemporary style of stove, the Morsø 6148 could be the perfect appliance for you. Standing like a sculpture on its pedestal, this stove makes a real statement and benefits from a large, curved glass door that provides an excellent view of the dancing flames. Behind the glass, Morsø has developed a combustion technology that uses pre-heated air to ensure a higher temperature in the firebox, so that almost all the flue gases are burnt. This results in both more environmentally friendly combustion and better fuel economy. 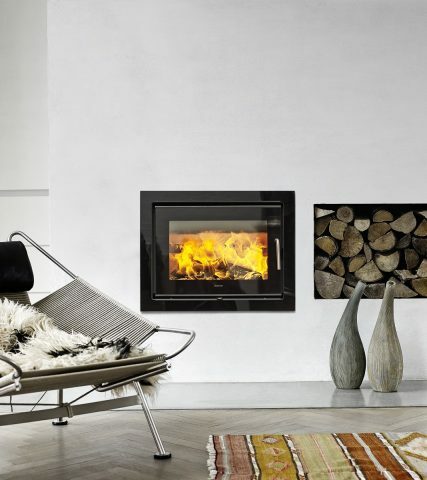 Whether you’re looking for a traditional wood burner to give a unique focal point to your room, or a modern stove to add a splash of panache to your living space, you couldn’t choose better than Morsø. 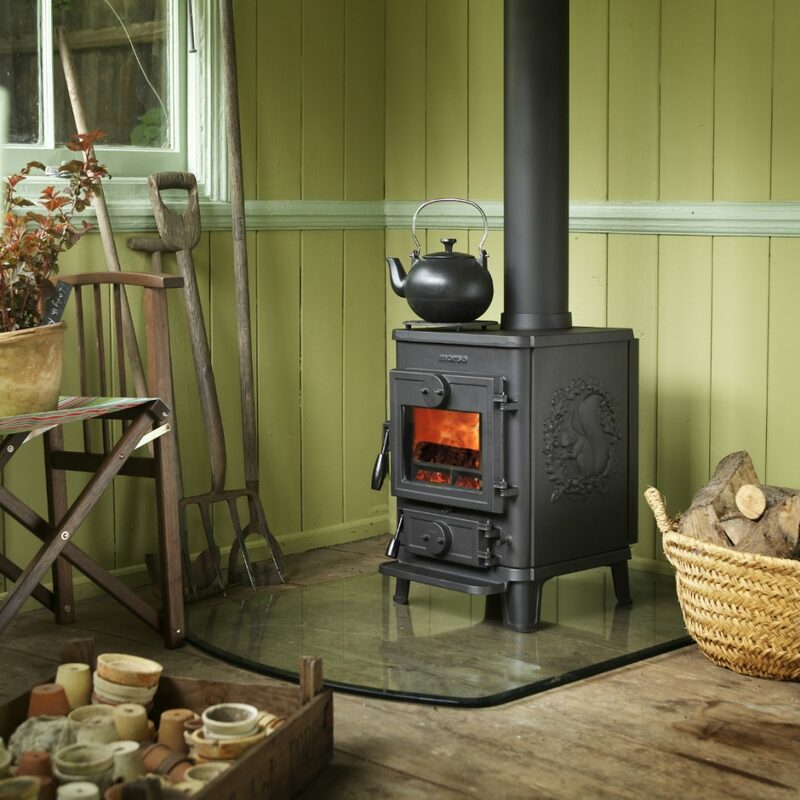 Selecting the right stove is both an art and a science, and we are here to help. We have a superb range of Morsø stoves at our showroom in Exeter so please do visit us. Bring photos, plans and room sizes, and any preferences and we will help you select the most suitable appliance for your home.